The 64th Cannes Lions International Festival of Creativity is underway in France, awarding the brightest and most creative advertising, marketing and public relations campaigns. The Lions are awarded to top submissions from June 17-24, and there are already campaigns with multiple wins. The early talk of the festival is “Fearless Girl,” capturing the Grand Prix in the PR, Outdoor and Glass: The Lion for Change categories. McCann New York and artist Kristen Visbal created the child-sized bronze statue for State Street Global Advisers. State Street was looking to promote women in leadership positions and address the gender gap in business. 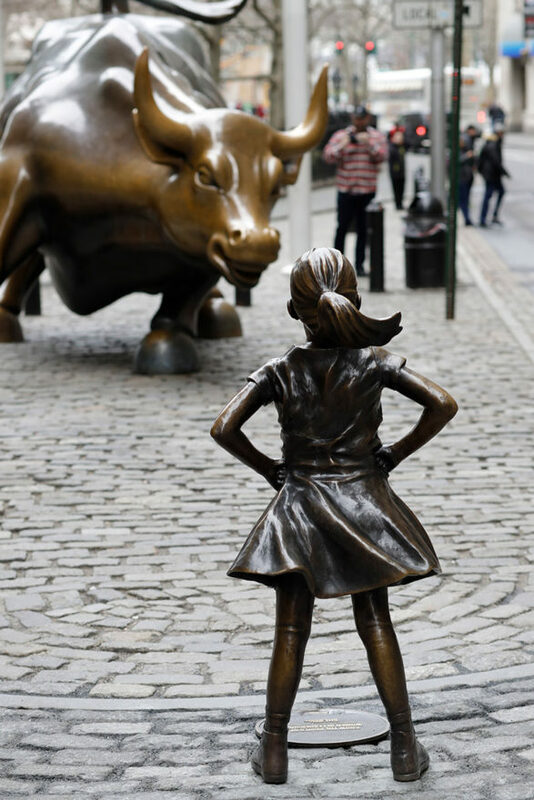 “Fearless Girl” debuted in front of the iconic Wall Street “Charging Bull” statue in honor of International Women’s Day. It became an overnight tourist sensation. It was an inspiration to females worldwide, becoming one of the most shared images on social media. The city originally gave the statue a one week permit, but due to its impact, it has since been extended until March of 2018. Another big winner is Burger King, already named the “Creative Marketer of the Year” by Cannes. The fast food chain received three Grand Prix awards in the Print and Publishing category. Conceived by agency DAVID Miami, the bold ads feature photographs of a Burger King in flames. “Aviano”, “Pennsylvania” and “Oregon” each feature the tag-line “Flame-grilled since 1954.” They quickly capture the audiences attention, and use humor to do it. The risk paid off. Another Burger King winner was “Google Home of the Whopper,” taking home the Grand Prix in the Direct category. It was a close win, beating out its top competitor by one vote. That competitor? “Fearless Girl” of course. The Cannes Lions International Festival of Creativity ends with a final awards show and closing gala on Saturday, June 24.